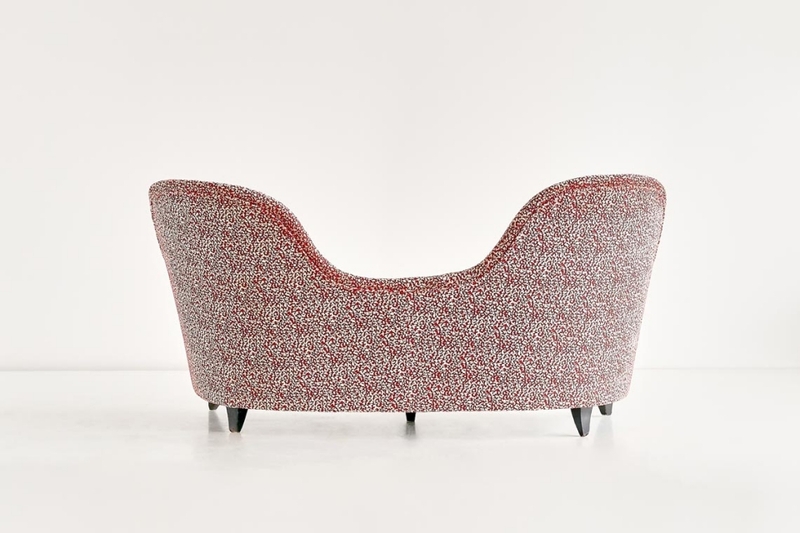 This bijou two-seat sofa was designed by Maurizio Tempestini, circa 1940 and produced by Mario Tamberli in Florence. 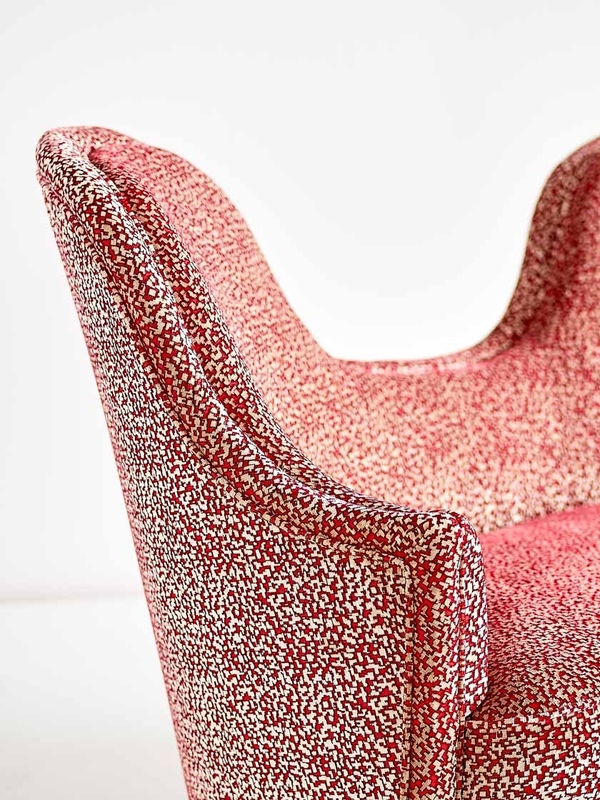 The sofa was a custom design for the Casa Innocenti Settepassi, the private residence of the Settepassi’s, an established family of jewelers in Florence. Tempestini did not only decorate their private residence but also their jewelry salon located on Florence’s Ponte Vecchio. The elegant and rounded lines of both the backrest and the curved seat make this an elegant variation on the conversation sofa or loveseat. The sofa has been fully reconditioned and newly upholstered in a sumptuous Nobilis Paris velvet. 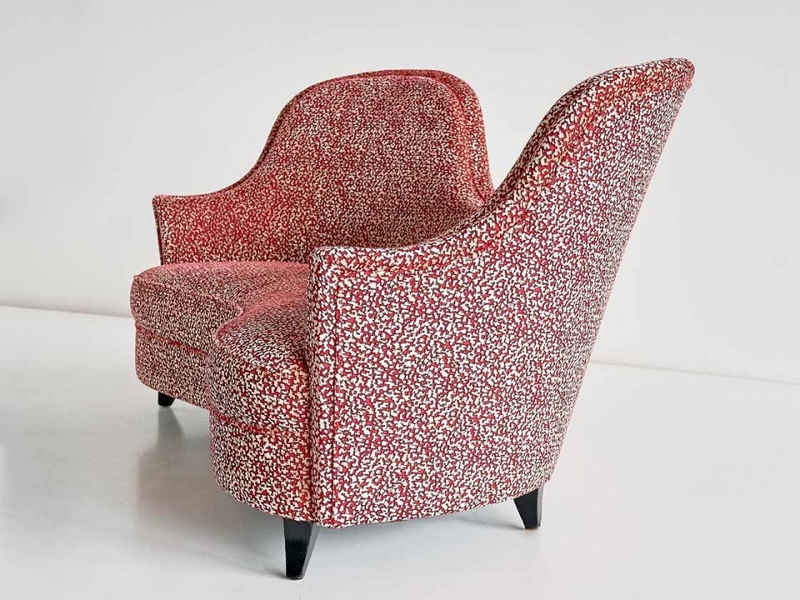 The intricate details and the contrast in the red and golden pattern give the fabric a refined texture. The sofa stands on five black lacquered feet. A sample of the fabric is available upon request.